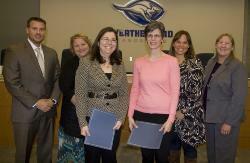 Representatives from Westwood Christian Fellowship and Grace First Presbyterian Church were recognized at Monday's WISD Board meeting for supporting the Backpacks for Children program and Kids Hope mentoring program at Wright Elementary. Rack Room Shoes manager Eva Avery and regional manager Chris Pilcher was on hand to accept recognition for providing new shoes to WISD children in need. 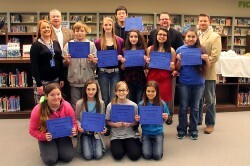 Weatherford Regional Medical Center Chief Operating Officer Tom Sledge presented framed artwork and other prizes to three Weatherford ISD middle school students for placing in the WRMC's Annual Holiday Card Design Contest. 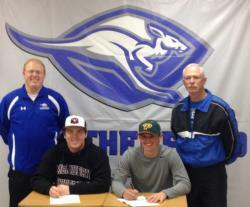 Weatherford ISD senior baseball players Andrew Healy and Corey Bynum signed letters of intent this morning to pursue their athletic careers at the collegiate level. Wright Elementary fourth grader Zora White was the winner of the Campus Spelling Bee on Monday. 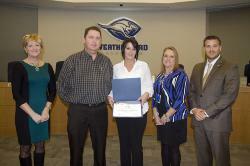 Weatherford ISD Board President Paul Paschall also participated by being the word caller throughout the event. Also, congratulations to fourth grader Emma Hardage for being name Runner-Up. 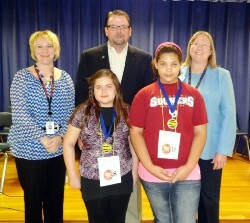 Pictured (from left) are Spelling Bee Coordinator Ranae Lane, Board President Paul Paschall, Principal Joy Bailey, runner-up Emma Hardage, and first-place winner Zora White (courtesy photo). 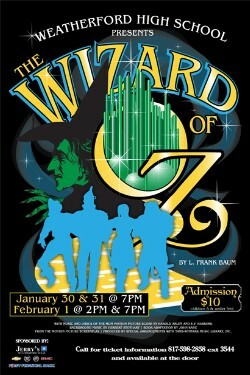 Weatherford High School's production of "The Wizard of Oz" will be Jan. 30 - Feb. 1 in the WHS Durant Auditorium. The event, which is sponsored by Jerry's GM in Weatherford and First Financial Bank, includes a large cast and crew by WHS students as well as band members playing in the orchestra pit. Admission is $10 each (children 5 and under are free) and may be purchased at the door. Also, for additional information about tickets, please call 817-598-2858 (ext. 3544). Tickets are currently on sale for the WHS Football Banquet (grades 9-12), which includes a meal as well as celebrating the players and seniors. Everyone attending the event - including student athletes - will need a ticket. 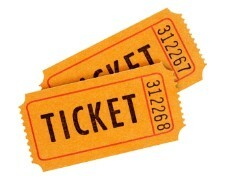 All players will receive a complimentary ticket for themselves. Parents, siblings, dates, and fans may also purchase tickets for $15 each. Tickets may be purchased from WHS Head Football Coach Weldon Nelms. Deadline to pickup and/or purchase tickets is January 21. 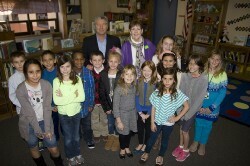 Weatherford ISD Board Member Dave Cowley and State Board of Education Member Pat Hardy sat in on a Google Hangout session with Curtis Elementary fourth graders Tuesday in the Curtis Library. Hall Middle School hosted its Third Six Weeks Roo Award of Excellence Breakfast on Wednesday where students were honored for their hard work this school year. 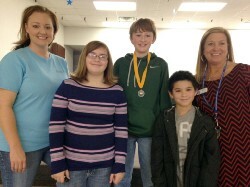 Congratulations to Austin Elementary's Geography Bee winners (from left) Sam Sodek, first place; Cody Thurman, second place; Emori Callaway, third place; Casie Walker, sixth grade social studies teacher; and Austin Elementary Principal Jenny Morris (courtesy photo).